Mirroring the votes they cast on Jan. 27, the Sarasota County Commission this week refused to begin a process that could lead to amending the ordinance it passed in January to prohibit sales of dogs and cats from retail establishments. The motion called for the revised draft to be brought back to the commission for review and consideration for advertisement for a public hearing, but the hearing would focus just on the proposed changes, Robinson responded to a question from County Attorney Stephen DeMarsh. Robinson and Commissioner Carolyn Mason voted for the motion, while Chair Al Maio, Vice Chair Paul Caragiulo and Commissioner Charles Hines opposed it. During more than an hour of discussion, Hines had questioned staff about the origin of the proposed changes in the law, and Caragiulo had asked whether anyone could prove the ordinance actually would harm a person, citing his worries about over-regulation. Further, he continued, at a veterinary medical office, “you do not have that opportunity to see where the animal came from.” Nonetheless, he said, his understanding is that vets are trying to adopt out animals for clients who cannot keep those pets anymore. However, if veterinarians brought in animals from a “puppy mill” and conducted transactions with clients at clinics, the buyers would have no way of knowing about the origin of those animals. “That whole chain of being able to see where that animal was bred or reared or kept” is the core principle of the ordinance, he added. 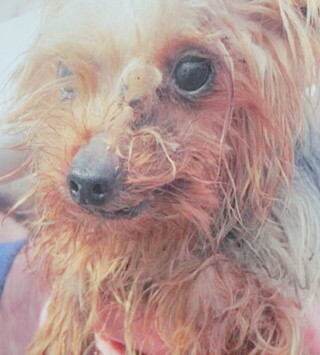 Then the board needs to eliminate the exemption in the ordinance for animal welfare organizations, Robinson told Hines, because she knows of at least one case in which a nonprofit organization that purported to be an animal welfare agency operated in Venice; yet, it imported dogs and sold them. “You get good eggs and bad eggs in both [cases],” she said of animal welfare groups and veterinarians. Earlier in the discussion, Robinson said, “I can’t tell you how many breeders I spoke to that were upset that we were just going through the formalities at this point.” She added that the situation was unfair to animal rights organizations as well as breeders. “We undertook a very, very flawed process to get here,” she said of the crafting and approval of the ordinance. Therefore, Robinson continued, the board members needed to decide whether to amend the ordinance to help the breeders and veterinarians, or ignore their concerns, which would imply the worries were not legitimate. Subsequent to the January action, the board directed County Administrator Tom Harmer to have staff conduct public outreach to hobby and home breeders, as well as kennel operators, to address the implications of the law. 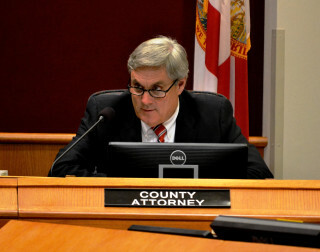 Then on April 12, at Robinson’s request, the board voted 5-0 to have Harmer direct staff to conduct public outreach to the Manatee Kennel Club and key breeder organizations, so staff could gather comments about problems Robinson said breeders and a veterinarian had conveyed to her about the potential negative ramifications of the new law on their operations. The ordinance was scheduled to go into effect a year after its passage, to give any retail operations plenty of time to come into compliance with its stipulations. “‘Hobby breeder’ is even an offensive term” to people who breed purebred dogs and cats, Robinson pointed out on June 21, though she noted she was unaware of that in January. Robinson told her colleagues, “We passed an ordinance without understanding what they do,” referring to the breeders. At least the commission had proven willing to address concerns the breeders had raised, she continued. Moreover, Robinson said, “We shouldn’t have to [have] a large turnout [of the public] for us to do the right thing” in amending the law. The board had specified that the ordinance be the only item on its Jan. 27 agenda, other than the usual Open to the Public periods for comments unrelated to the public hearing. The session took almost exactly 11 hours, with people packing the Commission Chambers at the County Administration Center in downtown Sarasota. At the outset of the June 21 meeting, Tate Taylor, the county’s planning manager, provided a presentation about staff outreach efforts. In March, he said, letters were mailed to more than 321 local breeders, veterinarian clinics, kennel owners and groomers, offering an overview of the ordinance and seeking their comments. Then on May 3, staff discussed the law during a monthly meeting of the Manatee Kennel Club. On May 16 and 17, he continued, staff held public workshops for breeders. One was in North County; the other, in South County. Letters and email also had come in on the subject, he noted. The majority of the breeders, Taylor pointed out, wanted to have the County Commission remove the definition of “Hobby Breeder” from the ordinance and amend the language defining commercial establishments. Four people also addressed the board on June 21 during the public comments portion of the afternoon session; two were in favor of the proposed changes, and two opposed them. 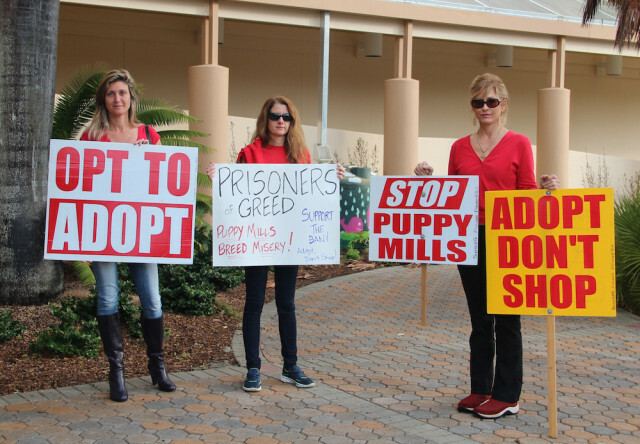 Karen Ankerstar, a county resident who helped initiate the effort to ban sales of “puppy mill” pets in the county, urged the board to preserve the ordinance as approved in January. “There was no outcry from the public to change anything,” she pointed out. Conversely, Odalys Hayes told the board that the reason more breeders did not show up during the January public hearing to voice their concerns was because they were attending a major show in Brooksville at that time. She had posted a letter on Facebook urging her fellow breeders to make the trip back to Sarasota for the hearing, The Sarasota News Leader learned. 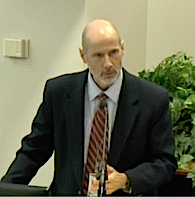 During the June 21 board discussion, County Attorney DeMarsh suggested the commissioners look at the language existing in the ordinance next to a copy of the changes proposed by staff. For example, DeMarsh continued, Robinson had raised the point in April that a veterinarian would not be allowed under the existing ordinance to sell an animal from the vet’s clinic. Several minutes of discourse then ensued over whether veterinarians would be subject to Code Enforcement action if they sold dogs or cats to people at their medical establishments. When Hines asked Taylor whether any veterinarian participated in any of the workshops, Taylor replied that he was not aware of any having been present. If they were, Taylor said, none raised the issue about sales or adoptions from their clinics. Answering another question from Caragiulo, DeMarsh explained, “The definition of commercial establishment is at the core of this ordinance.” DeMarsh then added, “Code Enforcement officers use judgment. They do.” However, he added, the proposed revision “makes it black and white” in terms of exemptions.